A griddle was an important feature on a large, old cookstove. As new types of cookware and smaller kitchen cooking areas became popular, griddles became accessories. 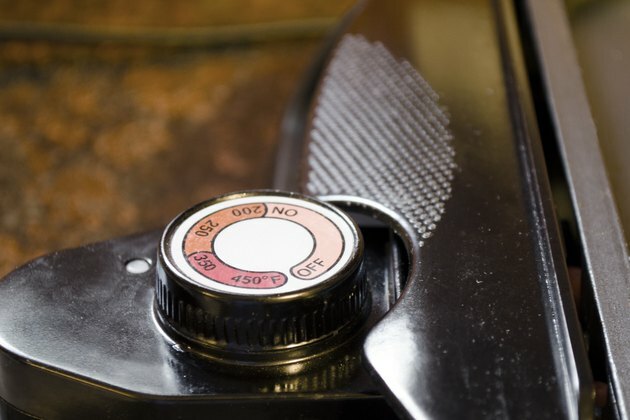 A cast-iron griddle works on any stove top, but for consistently brown burgers, try an electric version with thermostatically controlled heat. 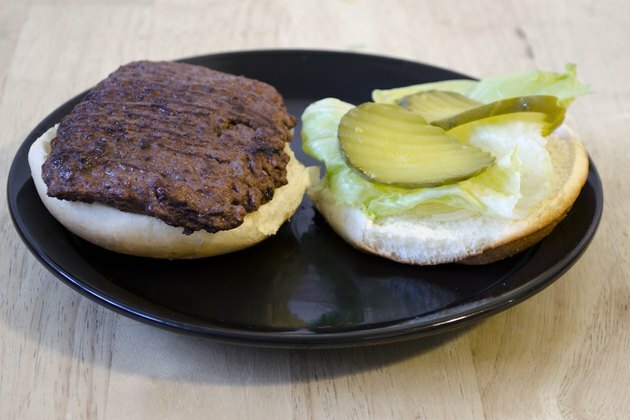 You’ll be able to put a sear on a hamburger patty that rivals your favorite hamburger joint. 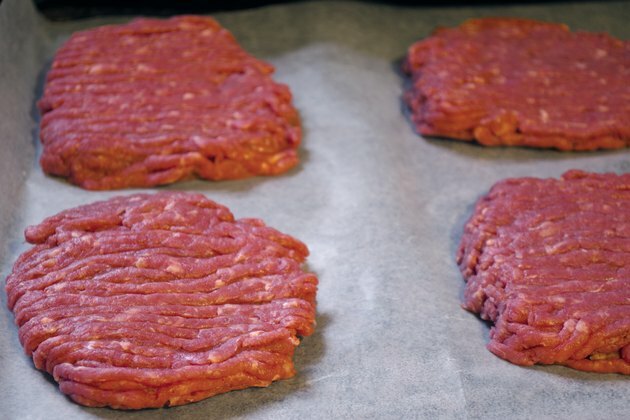 Preheat the griddle to 375 F.
Buy pre-formed, lean beef or bison patties, or press your own patties from lean ground meat. Press a dimple into the center of each patty with the flat of your thumb to keep the patty from “rounding up” in the middle as it cooks. Brush the griddle with melted butter. 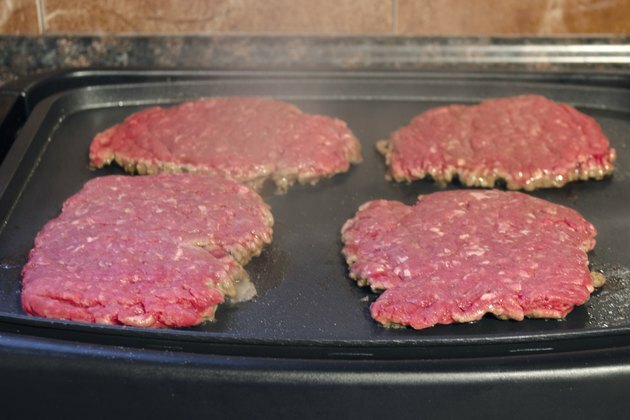 Place the patties on the griddle and let them sizzle for about 4 minutes. Avoid the temptation to lift or flip the burgers early. The surface of each patty needs to contact the griddle to get a brown sear. Butter another area of the griddle, and place sliced onions on the griddle to brown. Use a spatula to flip the hamburgers. 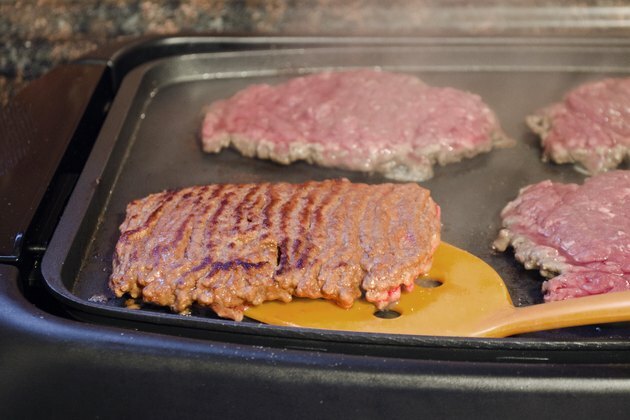 Scrape the surface of the griddle to keep the brown layer of meat on the patties and not stuck to the griddle. 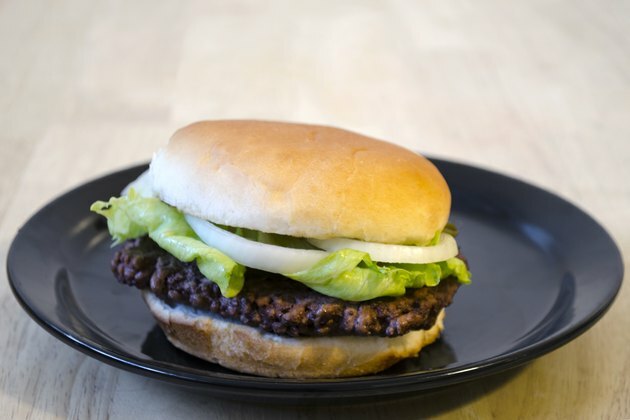 A 3/4-inch thick patty should cook on each side for 4 to 5 minutes, or until an instant-read meat thermometer registers an internal temperature of 160 F.
Turn and flip the onions, drizzling more butter on them if necessary to help them caramelize. Apply melted butter to the cut surfaces of the buns and place them buttered-side down onto the hot griddle until the bun surface is toasted. Assemble the toasted buns with the cooked hamburgers topped with the onions, some cheese and your favorite condiments. 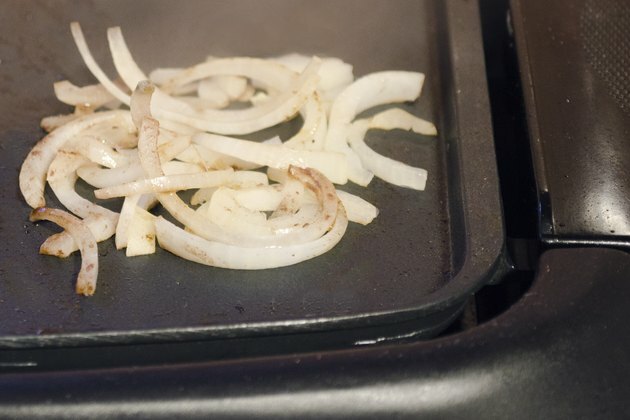 Use a metal spatula/turner on a regular metal griddle. If your griddle is nonstick, use a utensil made for that type of surface. Set up the electric griddle in your kitchen away from flammable curtains and towels and in a spot where you can wipe up splatters easily. How Many Calories Does a Hamburger Have?